The magnolia is a tree that is emblematic of the south. Its glossy green leaves and large, saucer-shaped blossoms makes it an eye-catching focal point in a home landscape. Magnolia comes in a variety of sizes and growth habits that often make it hard to tell the difference between a magnolia tree and a magnolia bush. Some types of magnolia have a more shrub-like growth habit. 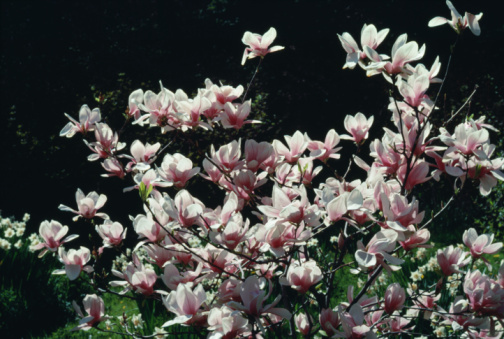 Magnolias come in a wide variety of cultivars, both deciduous and evergreen. Though often thought of as a warm-climate plant, some varieties of magnolia are hardy as far north as USDA Plant Hardiness Zone 4, according to University of Minnesota writer John Eustice. 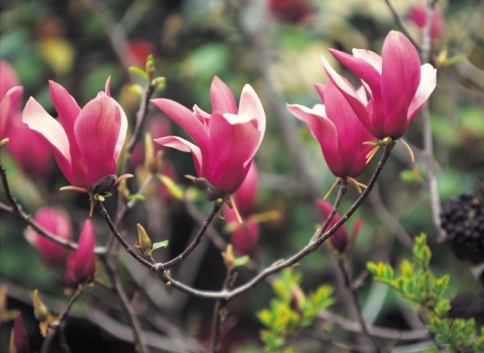 Both tree and shrub varieties of magnolia prefer full sun and well-draining, slightly acidic soil. They bear lush flowers in spring with a fragrance similar to jasmine or tuberose. Regardless of size or shape, a magnolia is a magnolia. The difference basically applies to the number of stems coming from the base of the tree that produce a single-trunked tree shape or the fuller, many-branched look of a shrub. Size is another consideration when judging whether a magnolia is more of a tree than a shrub. Some types of magnolia spread more luxuriously from the base of the plant, making them more shrub-like. 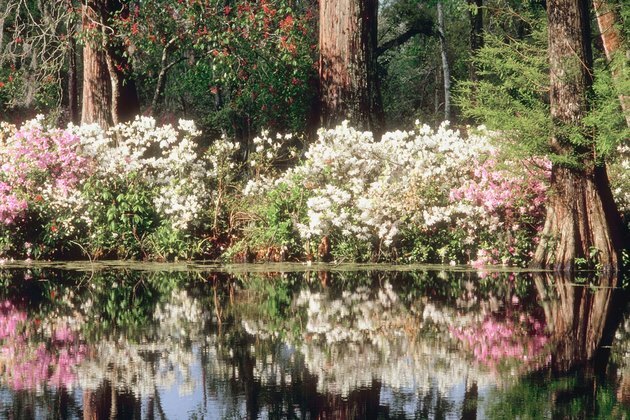 Traditional southern magnolias, Magnolia grandiflora, can grow to 80 feet tall, according to Texas A&M University horticulturalist Dr. William C. Welch, which put it decidedly into the category of "tree." Homeowners with more limited yard space called for smaller versions of the southern magnolia, and horticulturalists eventually developed a number of smaller cultivars that fit well into these compact yards. The Magnolia acumenata only grows to 30 feet tall, but has the upright, canopied shape that most people associate with trees. Another variety, Magnolia liliflora, grows to only 10 feet, the size of many shrubs, but has a well-defined tree shape. In addition to the tree-shaped magnolias, homeowners can choose from a number of spreading, shrub-sized varieties that can serve as privacy screening or hedges to divide property. The Magnolia stellata, or Star Magnolia, has multiple stems and a rounded growth habit that provides a spectacular display of spring flowers when planted in groups. The Magnolia loebneri is an irregularly rounded, spreading variety that only grows to 15 feet tall. Magnolia soulangea, which only grows to 12 feet tall, starts out as an upright tree shape when young but spreads to a more open shape as it matures, according to Estabrook's.